Welcome. NG&DR once named a garden railway, which now is defunct. 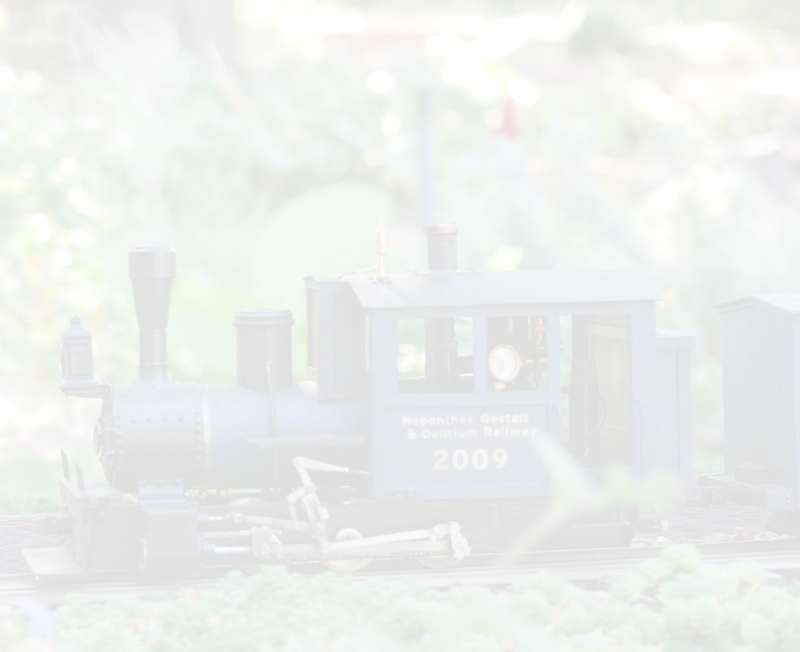 The name now refers to this website: a virtual railway with the primary function of hosting various items, mainly miniature railway oriented. This site has a lot of images on it; and some browsers do not handle these in a user-friendly way. If you use AOL or Internet Explorer you may need to zoom down to 20% or thereabouts, and then the text is tiny. The newer browsers, such as Firefox, Chrome, and Safari work nicely, as do phones, tablets, etc. Musings, analysis, and design, of a replacement for the NG&DR. Ultimately, these led to the construction and use of the Hunting Hill Railway, or HHR. I grew up with steam-powered trains. Those of us who knew them as day-to-day parts of life are disappearing, rapidly and permanently. I have modelled some trains, real and fictional. Herein are some descriptions of those models as they ran on the NG&DR and now run on the HHR. Experiments extending the run capability of small scale wind up locomotives. A system of stackable storage cases for displaying treasured or valuable items. Installing regulator remote control on a Gauge1 locomotive with not much room available. Re-working a Gauge3 steam locomotive that had design problems. The re-work improved performance considerably. These are a few links that may be of interest. 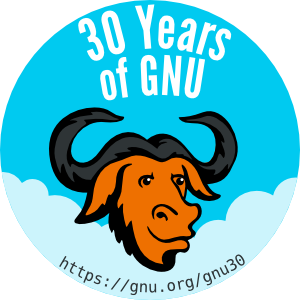 The Free Software Foundation was thirty years old in 2015. FSF has done a lot over these years for many facets of computer-related issues. FSF needs more support now as the open internet we all take for granted is being attacked and eroded. Look at their site and consider if you owe it to yourself to help them help you. By the way, Free means Freedom, not free-of-charge.